Logitech has announced BRIO 4K Pro Webcam for business and home-office users, streamers, YouTubers and vloggers. 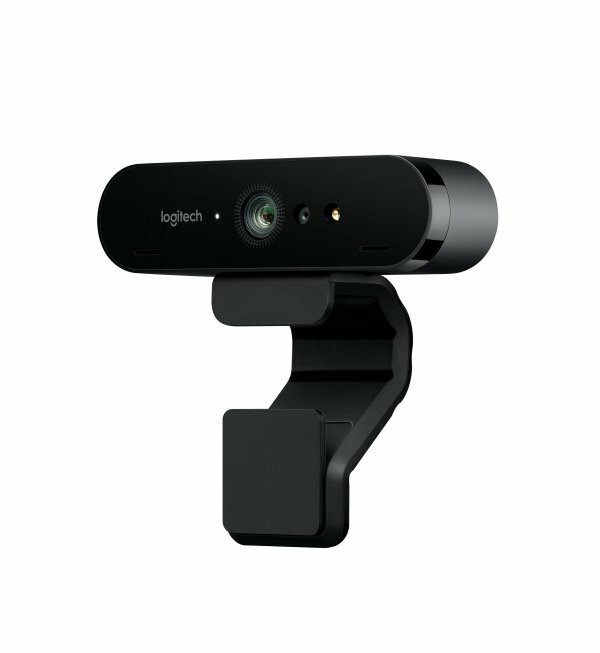 Logitech BRIO 4K Pro Webcam comes packed with industry firsts including Logitech RightLight 3 with HDR, 4K Ultra HD video quality, and 5X zoom, plus support for Windows Hello and other secure infrared-based facial recognition applications. The Logitech BRIO is an elegantly designed product and besides featuring 4K and 5x zoom, it offers support for Logitech RightLight 3 with HDR for delivering great camera performance in all lighting conditions – from low light to bright sunlight, as well as challenging high-contrast or backlit conditions. BRIO users can select between 65°, 78°, and 90° field of view (FOV) to help ensure their camera is focused only on the area they want others to see. Logitech’s advanced lens technology with autofocus offers remarkable video quality with great resolution, speed, fluidity, color balance and detail. Logitech BRIO works with all popular business applications, including Skype for Business and Cisco-compatible certifications, as well as all Logitech Collaboration Program cloud video partners such as BlueJeans, BroadSoft, Vidyo and Zoom. The Logitech BRIO will be available in India starting today at a suggested retail price of INR 24,995.